FAQ continues summer series with an evening of French chamber music. Henri Edmond Cross (French, 1856–1910) Landscape (Garden at St. Tropez), ca. 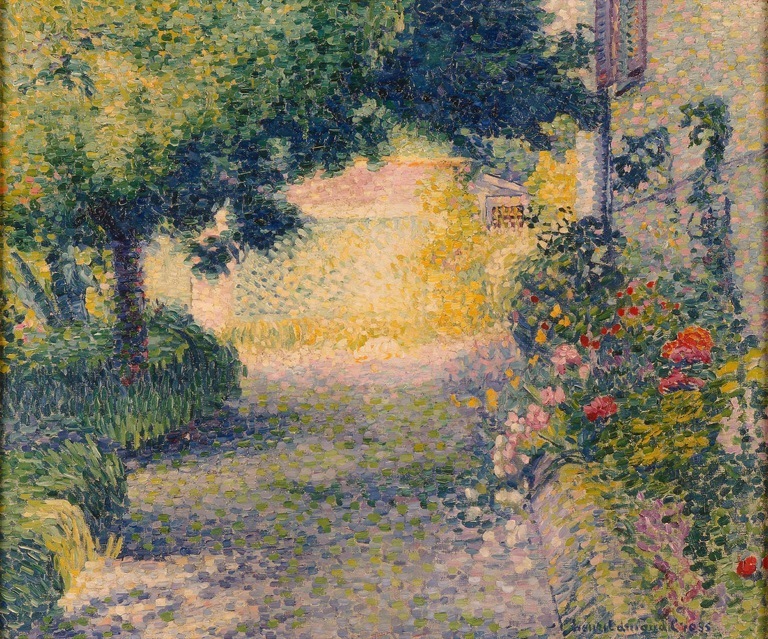 1900 Oil on canvas 10 x 25 in. (25.34 x 63.5 cm) Purchase, Marjorie Tiefenthaler Bequest and partial gift of Louise Uihlein Snell Fund of the Milwaukee Foundation M1996.29 Photo by Larry Sanders. The Fine Arts Quartet (violinists Ralph Evans and Efim Boico, cellist Robert Cohen and violist Juan-Miguel Hernandez) returns to the UW-Milwaukee Zelazo Center for the second concert of their Summer Evenings of Music this Sunday night with a focused survey of French chamber music at the turn of the 20th century. Works by Gabriel Fauré, Maurice Ravel and Germaine Tailleferre span only 40 years – a time that French chamber music made a clear effort to distinguish their work from traditions defined by German composers. The music is graceful, lyrical, rich with harmonies, often light but sometimes profound; a welcome way to spend a summer evening. 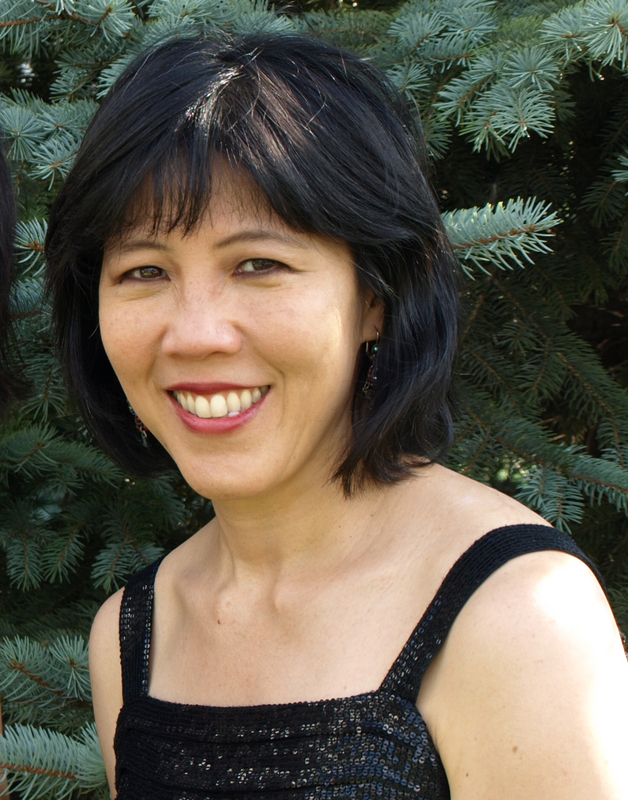 The Quartet welcomes guest pianist Patricia Tao for a seldom heard piano quartet by Fauré. Tao, an Associate Professor of Music at the University of Alberta was a founding member of the Guild Trio, but now appears with the Trio Voce. Now in her 7th year as Artistic Director of the Edmonton Chamber Music Society’s Summer Solstice Festival, she hosted the Fine Arts Quartet for that Festival early this week. Tailleferre’s String Quartet (1918-19) is a modest work written early in her career. A graduate of the Paris Conservatory, Tailleferre was the only woman of a distinguished group of six young French composers working in Montparnasse and named “Les Six.” She created a great diversity of music works, both orchestral and chamber, further including operas, ballets, film scores, a cantata, concertos for piano, violin, harp, and other instruments. The elegant first movement of the Tailleferre String Quartet builds on two themes without development. The second movement is scherzo-like and its character reminiscent of Ravel. The rhythm of the last movement is that of a saltarello (from the Italian saltare, “to jump”), a fast, triple dance-step with a hop, a popular medieval European court dance. Ravel’s String Quartet in F Major (1903) closes the program and brings the threads together. Ravel was a student of Fauré’s and an inspiration for much of Tailleferre’s work. A sonata form first movement follows a traditional development structure, although adding clarity by use of simple harmonies such as sections where first violin and viola play two octaves apart. That is followed by a bright scherzo with pizzicato color and mixed time signatures that suggests a Javanese gamelan orchestra. The slow movement recalls earlier themes within a improvisational atmosphere, revealing Ravel’s skill at finding unexpected colors in his compositions. The rondo finale opens with stormy passages, shimmering strings and brief moments of calm, recalling other sections. The June 26th concert begins at 7:30 p.m., preceded by a pre-talk at 6:30 p.m. Tickets may be purchased on-line at the Peck School of the Arts box office or at (414) 229-4308. Tickets are a bargain $10 ($5 students). Parking is available in the Zelazo Center lot, to the south of the building, and in the Union parking garage across Kenwood Boulevard. Parking is free on Sundays only. Summer Evenings of Music closes with two concerts at the end of next week on Thursday, June 30 and Friday, July 1. The Fine Arts Quartet will be joined by another internationally known quartet, the Shanghai Quartet. This collaboration will permit two great works to be heard – the Johannes Brahms‘ String Sextet No.2 in G major and Felix Mendelssohn‘s String Octet in E Flat Major. Find more program details here. Wow! It’s hard to believe that Classical music performance still exists in Milwaukee. Specially when you consider the years of waterboarding of the Classical music airwaves done by organizations that were built on it, like WUWM, Milwaukee Public Radio. But then, WUWM uses long-time staff that doesn’t know what a European vowel sounds like, or care enough to properly prepare before recording a paid on-air advertisement for a local performance … and on more than one occasion. It’s a good thing we don’t hear any classical music there anymore. Chris and I see you all the time at St. John’s, Michael Bardnt, and certainly enjoy your varied Listening series, and I was so glad to read this review on French Chamber Music by the Fine Arts Quartet, because we have tickets for this Sunday’s event. Fine writing on your part, as usual! Oh wow! In all the years of Summer Evenings there has never been a concert of “Frech” music. Can’t wait!